The Pokémon Company today launched its newest game designed for iOS devices, debuting Pokémon Duel. 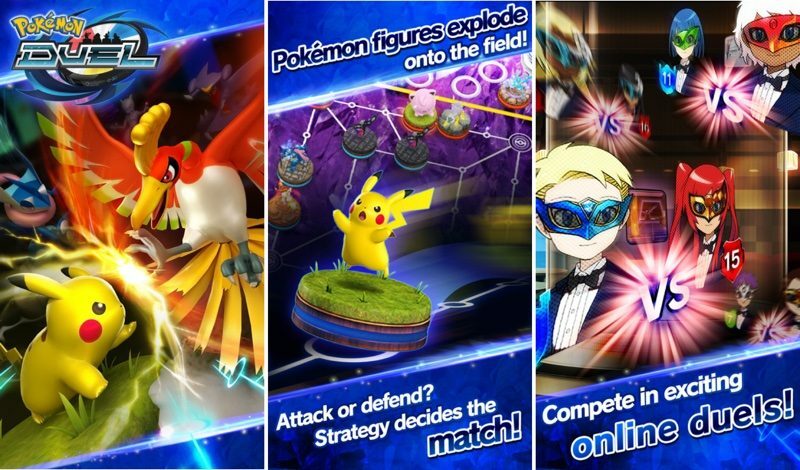 Pokémon Duel is a strategy board game where the goal is to collect a range of different Amiibo-style Pokémon figures, each of which has unique abilities. Six Pokémon figures are used to build a deck, and with a deck, players can compete with other gamers around the world in ranked League Matches. According to the app's description, the object of each game is to be the first player to get a figure to the other player's goal, carefully choosing a route and using strategy to outmaneuver an opponent. Pokémon Duel is compatible with iPhones and iPads running iOS 8 or higher. The game is free to play, but includes gems that can be purchased in-app to speed up and enhance gameplay. Pokémon Duel was previously available to iOS users in Japan, but is today expanding to the United States and other countries around the world. Those digital figures look like they would fetch a lot of cash in the "toys-to-life" genre. My kids love the amiibo Pokemon figures. Probably... but the required NFC antenna is restricted in iOS. Anyway, just one less thing for adult nerds to hoard.